A properly designed & detailed set of construction drawings makes certain you get exactly what you are dreaming of from your house designing and building experience. Perfect Drafting & Design strives to deliver the very best in quality designs, affordability, and quick turn-around time. The combination of these factors takes the guess work out of picking a design firm, and easily makes our team your top choice. 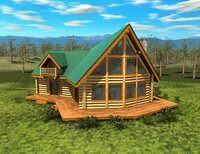 We specialize in designing log homes (handcrafted, log post and beam, and timber frame) though we can also provide you with high quality - and cost effective - construction drawings for conventionally framed, SIP, or ICF homes, garages, or other structures as well. 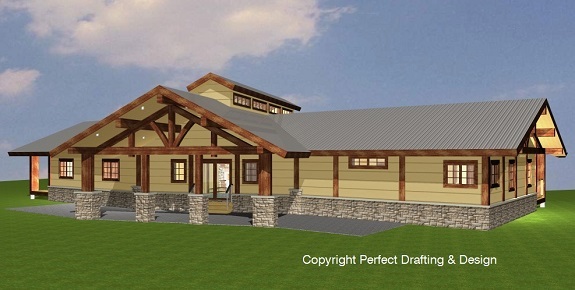 Let us design the perfect custom home for you, or feel free to browse the ever expanding inventory of stock plans by selecting the stock plan heading, or follow the link here.